So easy to make and wear! 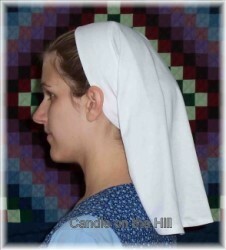 This comfortable veiling is designed to be made from lightweight stretch knit fabric and has a simple slip-on design so no closure at the nape is needed! Includes ladies and girls sizes!